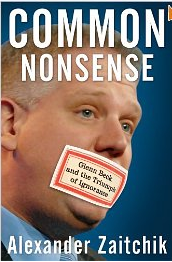 Alexander Zaitchik, author of the recently released Common Nonsense: Glenn Beck and the Triumph of Ignorance, sat down with David Weigel, then a The Washington Post blogger, for an interview. Weigel was the Post's blogger on conservatives in the news, but he resigned after he had sent messages that conveyed his views about Drudge and the Washington Examiner on a private listserv called Journolist. Journolist was run by Post reporter Erza Klein, and he has since shut that e-mail list down. In this interview with Weigel, Zaitchik underscores Beck's motivations which "are, and have always been, money and fame. If Beck has a true religion, it’s not Patriotism. It’s not Mormonism. It’s cross-platform self-marketing." He continued to elaborate. Beck is a Mormon, which of course is a Christian sect. In the Bible, Jesus is told of having proclaimed the difficulty of rich men getting to heaven. Beck is ignoring that fundamental tenement of his beliefs as have many Christian capitalists since the Protestant Reformation. Beck is a man out for himself; and all of his fans are his market niche, i.e., conservative and mildly reactionary patriots who fear tax increases, big government and believe that people who are victims of economic forces beyond there control should just pull themselves up by their bootstraps. As if that were possible. Note: Zaitchik was kind enough to give The Glenn Beck Review permission to reprint his entire Salon article,"The Man Who Changed Glenn Beck's Life." It's a story about Cleon Skousen, Mormon author of The 5,000 Year Leap, a spiritual fantasy about the founding of the United States. Beck doesn't care about "truth" or "you" as he claims; Beck cares about money and influence. At any other network, he'd become a liability given the extent of the boycott working against him. Under the auspices' of Rupert Murdoch, the faction of one, anyone who pushes the agenda to the right is worth the lost revenues of advertisements and diminished reputation as a brand name. Ooops, sorry, hadn't seen this yet when I wrote the email!! My eye's had a rough day today. No, not "Beck syndrome", but glaucoma- a small part of the "pre-existing" I mentioned. I have read some of the excerpts from his lecture. I know better of the character after understanding his explanation. Can Glenn Beck know the future? What is Glenn Beck's Overton Window? What is Glenn Beck politically? Beck's Guest, David Barton, Wants to Build Walls? 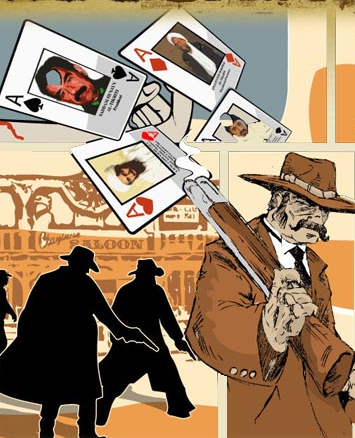 Beck's Most Dangerous Man in America? 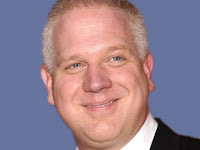 Glenn Beck: Thinker, Pundit or Charlatan?